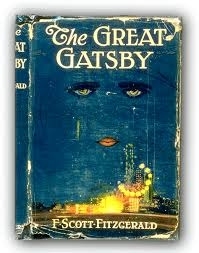 "In my younger and more vulnerable years," my parents instilled in me a love of The Great Gatsby. It was a book that I saw my mother read over and over, and movie that was played over and over on our VCR. When I finally reached eleventh grade, I knew parts of the text by heart, but my English teacher was so passionate about the book, that reading it for her class was like discovering it for the first time. Perhaps because the 1974 version was the only version I had ever seen, I could never imagine anyone but Robert Redford playing Jay Gatsby. So, as I read the movie reviews for the latest adaptation released today, I wondered what critics thought of the Robert Redford version. Click here to see Roger Ebert's 1974 review. Maybe this is a book whose magic just can't be translated on to the screen.